I saw the Microsoft Steve Ballmer presentation live stream at the CES (consumer electronics show) in Las Vegas this evening. And, no ‘death by demo’ – just a seamless display of passionate interactivity, awesome demos – from on-stage, to devices and software, from small screens to big ‘liquid’ touch pads. As I watched, the “social” threads were apparent. And, Facebook was mentioned along with social media. Its use, and integration across multiple applications and hardware was exciting to see. Social media, a familiar buzz word, is known to the masses. But, SEO, or PPC is not. What are some facts about SEO you might not know? SMM gets the love. Bing and Facebook now have partnered. Bing itself is serving data with connections to Facebook directly within search results. However, during this CES presentation we didn’t hear much about Bing, or the search engine landscape in specific. It was probably expected. But, unlike Apple, who has to license ‘search’, Microsoft owns theirs. And, since Bing now serves Yahoo results, and Bing (MSN) Ad Center controls the dual engines’ ad (paid search) space, lots of opportunities exist. We know Google owns search, but it has not positioned itself well for social media. We hear that Google is using ranking or trust signals from social media, but SEO remains the same it always has: content & links – at the simplest level. Since I was thinking about SEO today, and little love it receives in the media (relatively speaking) – I thought to create a list for the uninitiated. SEO is separate from paid search (Google Adwords, for example). The natural listings on the left side are essentially “free”, and the aim with SEO is to work a process that results in top listings within those results. SEO is organic, natural, algorithmic – it’s what Google search engine optimization is all about – figuring out, and applying the steps needed to get top position. SEO takes time and can be difficult to do, specially for a beginner. PPC is quick, somewhat easier and is all about bidding for keywords (again, simply stated). Google has published a search engine optimization guide (pdf), but search engine algorithms is considered classified information, so we must reverse-engineer, test and apply best practices (even that can be a stretch sometimes). Don’t even trust Google, use only as guidelines. Google has said that over 200+ signals help them rank websites. We know that properly architect-ed sites and on-page factors along with links (on-site and off) are the keys to success. SEO work that can show a page or asset (video, news, local, etc) topmost in the search engine results pages, has the highest click factor and trust. Folks click on natural listings more than the paid advertising slots. 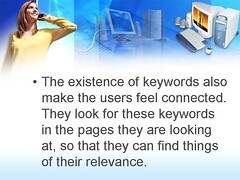 Users that search are ‘intent-driven’. They are actively searching for information, and they could be looking for your company’s products or services. Do a good job with SEO, and you can have inbound traffic all day long. It’s like having free advertising on the freeway – “come see Bob’s shoe store – next exit”. SEO is big business, and not going away anytime soon. You have seen “SEO is dead” before, and I’ve seen these claims for years now. The players may change over time, but the basics remain true: well designed web assets with a user-centric focus will do well, if properly cared for. Small and big companies alike consider SEO to be important enough to increase their budgets this year. They make SEO one of their top marketing strategies. It’s a wise choice, as you’ve seen.